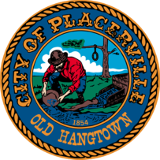 The City of Placerville is currently accepting applications for the Recreation & Parks Commission. The City Council is seeking residents who are interested in serving on the City’s Recreation & Parks Committee. The appointment is for one unexpired term ending March 1, 2023. Applications are required and available in the City Clerk’s office, 3101 Center Street, Placerville, CA 95667 or you may click here to download. Applications will be accepted until the position is filed . For further information, contact the City Clerk at (530)642-5531. The City of Placerville Recreation & Parks Commission is a six (6) member commission made up of five (5) community members at large appointed by the Placerville City Council and one (1) student representative from El Dorado High School. The Recreation & Parks Commission acts in an advisory capacity to the Placerville City Council and the Director of Recreation and Parks in all matters pertaining to parks and public recreation as the city works to deliver quality parks and leisure services to the community. They are a sounding board for community issues related to recreation and parks matters. In addition, the commission is charged to work in a cooperative effort with other governmental agencies and civic groups in the advancement of sound park and recreation planning and programming. The Recreation & Parks Commission generally meets the 3rd Wednesday of each month at 6:00 p.m. at Town Hall. The public is encouraged to attend and are welcome to discuss matters related to recreation and park matters within the City of Placerville. NEW If you want to receive the Recreation and Parks Commission Meeting Agenda via email please click here to sign up .